Item # 309487 Stash Points: 6,495 (?) This is the number of points you get in The Zumiez Stash for purchasing this item. Stash points are redeemable for exclusive rewards only available to Zumiez Stash members. To redeem your points check out the rewards catalog on thestash.zumiez.com. Grab a "sharp" new layer from Lurking Class By Sketchy Tank, with the Thorn Split Black Hoodie. 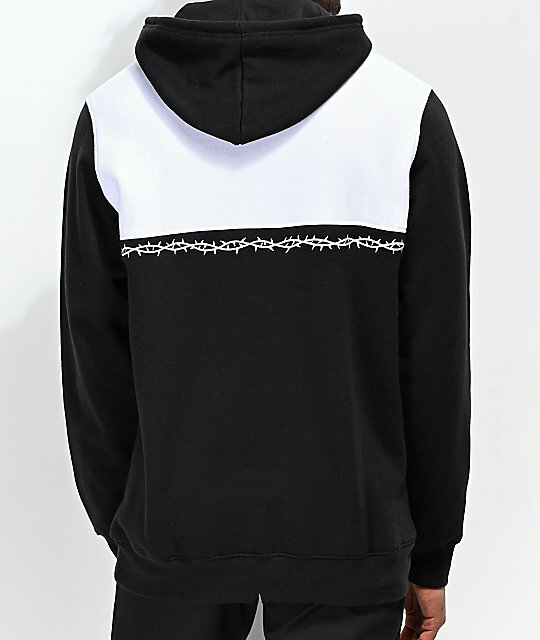 This cotton-polyester blended hoodie features a black and white colorblocked design, and is highlighted by a embroidered thorns running horizontally across the chest and back. 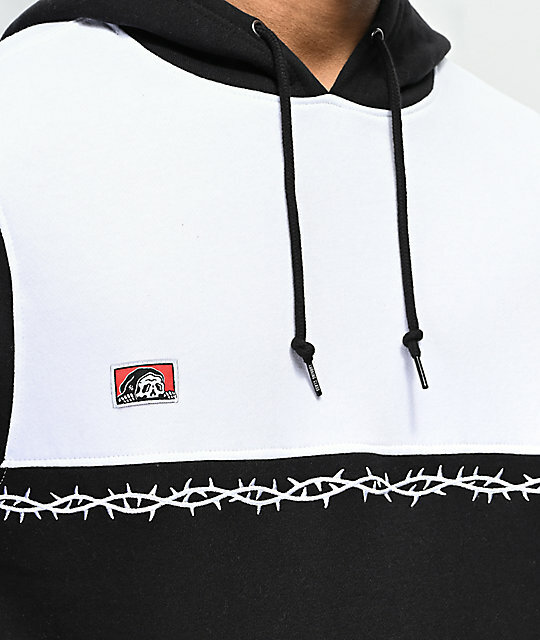 A woven Lurker tag is added to the right chest, while the adjustable hood and kangaroo pocket keeps things comfortable for all of your casual looks. Thorn Split Black Hoodie from Lurking Class by Sketchy Tank. 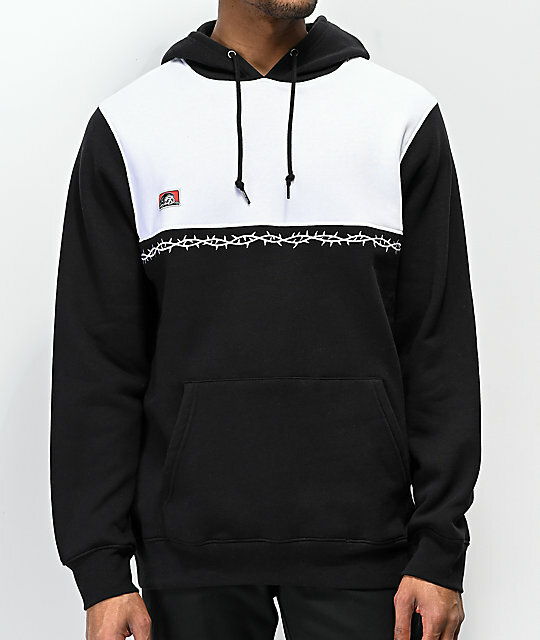 Black & white colorblocked design. Embroidered thorns running across the chest & back. Woven brand tag at the right chest.